Jurgen Klopp and Daniel Sturridge in a rare public appearance together. FORMER LIVERPOOL STRIKER Michael Owen believes the club should provide the public with more information about Daniel Sturridge’s constant injury troubles. Sturridge made his return to action in Liverpool’s fourth-round FA Cup exit against West Ham United on Tuesday after two months on the sidelines. The 26-year-old has suffered several serious injuries in his time at Anfield, and Owen wants the club to be more transparent with the extent of his setbacks in a bid to discourage unfounded rumours. “We have not really been given all the information so I do wince a little bit when I see people having a real go at Daniel Sturridge,” he told BT Sport. “The club have not really said what’s wrong and until we know exactly what problems he has had or has got, it is fuelling a lot of rumours. “People are saying things that are potentially unfair. I have been injured before and if he is getting muscle ­injuries then I have every sympathy because they are debilitating. “You cannot play on with muscle injuries, they just tear, tear and tear until they erupt. It is the worst thing ever. “However, if he has joint pain – an ankle, a knee and a hip – it can be manageable. Owen tipped Sturridge to contend for a spot in England’s Euro 2016 squad, provided he stays fit for the remainder of the campaign. 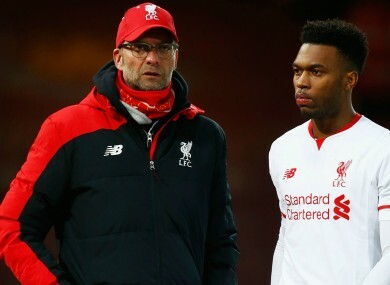 “If Sturridge gets fit, he could be the fly in the ointment in terms of Rooney, Vardy and Kane. If he gets fit and bangs them in to the end of the season,” he said. “He held the shirt before he got injured, so he would be right in amongst it. He is a really good finisher, is quick, he has confidence and class. He would shoot right back into the reckoning. Email “Liverpool should be transparent with Sturridge injuries - Michael Owen”. Feedback on “Liverpool should be transparent with Sturridge injuries - Michael Owen”.